As time passes, we take the world for granted. We innovate and create - It’s a way of life! However, this in turn leaves a heavy "food-print" on the world and our ecosystem. Think in terms of your carbon footprint which suggests the total set of greenhouse gas emissions caused by an individual, event, organization or product. Your Food-Print is making a conscious choice in the restaurant industry to try and achieve zero emissions as well as reducing water consumption as well as all tertiary players in the supply chain of the restaurant. 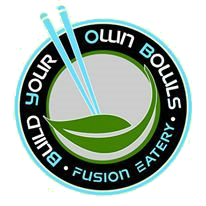 At BYO Bowls, we’re looking to spark the Food-Print Movement by being socially responsible in minimizing our impact on the environment by the choices we make in the food service industry. We strive to purchase and support local produce when applicable, reducing the use of disposable food ware and most importantly taking care of the one and only body we’ve been given by eating healthy and making conscious choices in food consumption. As we take this initial step down an enlightened path we encourage community groups in the area of all types from churches, beach shorelines clean up organizations, sustainability partners, to take a stand and make a difference. By making a few simple choices in our day-to-day lives we can make a significant impact on the world around us and by consciously supporting restaurants that actually are part of the local effort to influence global policy. BYO Bowls is looking Beyond the plate to influence social, political, cultural and economic agencies in the food industry to help us achieve our goal of being zero foot-print establishment. Join the Food-Print movement and join in our community newsletter. These once-a-month newsletters will help raise the awareness which you may share with a friend or a family member. Make a difference today by signing up below and see how you can eliminate your Food-Print in order to help the community around you! We do not share your information to third party companies and we deliver what is promised one-newsletter a month on tips and supports of minimizing your Food-Print.